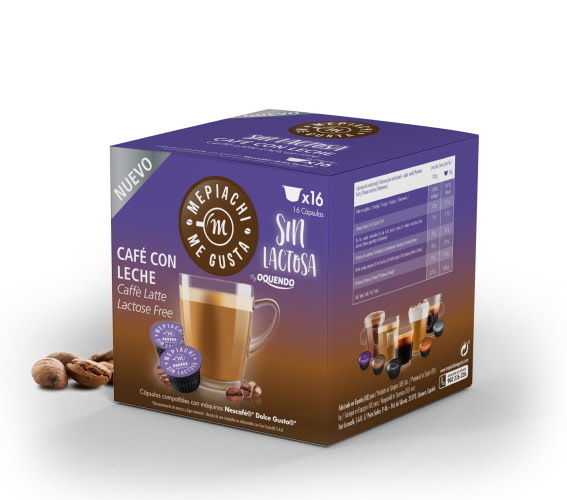 Cafe Latte compatible capsules for use with Dolce Gusto coffee machines. soluble coffee, antiaglomerant (E-341 (iii)), aroma. This is a creamy drink, with soft milky scents and mild body. A drink that offers an intense coffee flavour and a sweet milky after-taste.